1&1 Internet, Inc., a global leader among Web hosting providers, today delivered seven new domain name extensions to customers, as part of the brand new generic top-level domains (gTLDs) launches. The creation of hundreds of new domain suffixes is set to transform the online landscape and has generated excitement in both the technology and business industries. The launches mean that businesses can enjoy new opportunities to secure their online brand and improve audience targeting on the Web. Customers that have pre-registered these domains with 1&1 before today will be given registration priority as the new gTLDs go live. Robert Hoffmann, CEO Hosting, 1&1 Internet Inc., said, “It is highly satisfying to deliver our first new gTLDs to customers. The seven options available today are only the first of hundreds of new domains to become available through 1&1 in the coming weeks and months. By taking advantage of a distinctive and relevant Web address, businesses can protect and build upon their online brand”. Those registering new gTLDs with 1&1 will benefit from the 1&1 Domain Center interface, offering convenient, mobile and customizable administration and monitoring for their 1&1 domains and domain orders. Registration of .BIKE, .SINGLES, .CLOTHING, .GURU, and .PLUMBING is $39.99 per year; and .VENTURES and .HOLDINGS can be registered for $69.99 per year. After a domain is purchased, customers can link it to their website effortlessly via the 1&1 Control Panel. 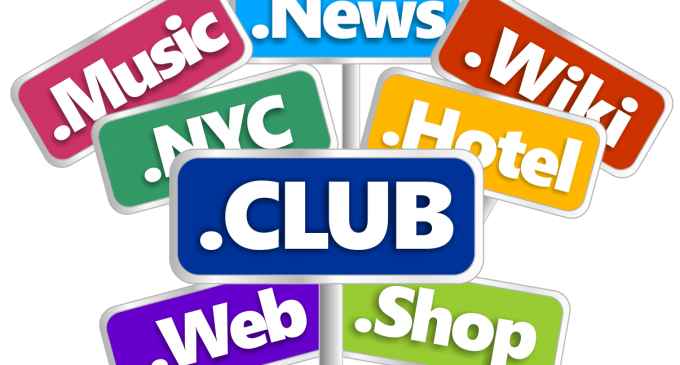 The 1&1 domain portal, http://www.1and1.com/new-top-level-domains , provides news and information about new gTLDs as well as suggestions of which new Internet addresses could be relevant based on a particular business area or an individual field of interest. As a one-stop-shop for eBusiness, 1&1 offers a well-rounded suite of solutions for businesses and professionals seeking an attractive and hard-working Web presence. For more information, visit www.1and1.com. 1&1 Internet Inc. is a subsidiary of United Internet, a profitable public company with a market cap of more than $7 billion. Founded in 1988, 1&1’s global community is over 12 million customer contracts strong. 1&1 Group manages more than 19 million domain names worldwide. More than 70,000 servers run in 1&1’s five state-of-the-art, green data centers. The company’s U.S. headquarters is located in Chesterbrook, Pa. For more information, visit www.1and1.com or contact the company at 1-877-GO-1AND1, on Facebook, or www.twitter.com/1and1.